The Hugo Awards are given every year by the World Science Fiction Society for the best science fiction or fantasy works and achievements of the previous year. The award is named after Hugo Gernsback, the founder of the pioneering science fiction magazine Amazing Stories , and was once officially known as the Science Fiction Achievement Award. The award has been described as "a fine showcase for speculative fiction" and "the best known literary award for science fiction writing". The Hugo Award for Best Professional Magazine was given each year for professionally edited magazines related to science fiction or fantasy, published in English, and which has published four or more issues with at least one issue appearing in the previous calendar year. Awards are also given out for non-professional magazines in the fanzine category, and for semi-professional magazines in the semiprozine category. The Hugo Awards are given every year by the World Science Fiction Society for the best science fiction or fantasy works and achievements of the previous year. The award is named after Hugo Gernsback, the founder of the pioneering science fiction magazine Amazing Stories, and was once officially known as the Science Fiction Achievement Award. The award has been described as "a fine showcase for speculative fiction" and "the best known literary award for science fiction writing". The Hugo Award for Best Professional Editor is given each year for editors of magazines, novels, anthologies, or other works related to science fiction or fantasy. The award supplanted a previous award for professional magazine. Instant-runoff voting (IRV) is a type of ranked preferential voting method used in single-seat elections with more than two candidates. Instead of indicating support for only one candidate, voters in IRV elections can rank the candidates in order of preference. Ballots are initially counted for each voter's top choice. If a candidate has more than half of the vote based on first-choices, that candidate wins. If not, then the candidate with the fewest votes is eliminated. The voters who selected the defeated candidate as a first choice then have their votes added to the totals of their next choice. This process continues until a candidate has more than half of the votes. When the field is reduced to two, it has become an "instant runoff" that allows a comparison of the top two candidates head-to-head. During the nineteen nomination years, twelve magazines run by fifteen editors were nominated. Of these, only five magazines run by eight editors won. 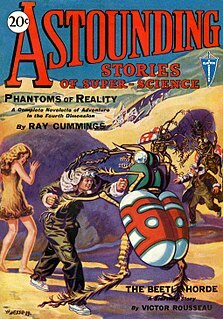 Astounding Science-Fiction /Analog Science Fact & Fiction and The Magazine of Fantasy & Science Fiction each won eight times, out of eighteen and fifteen nominations, respectively. If won three of five nominations, New Worlds won one of its six nominations—though its win was in the 1957 "British Professional Magazine" category—and Galaxy Science Fiction won only one out of its fifteen nominations, for the first award in 1953. Of the magazines which never won, Amazing Stories was nominated the most at eight times, while the only other magazine to be nominated more than twice was Science Fantasy with three nominations. John W. Campbell, Jr. received both the most nominations and awards, as he edited Analog Science Fact & Fiction for all eighteen nominations and eight wins. Edward L. Ferman and Robert P. Mills both won four times, while Frederik Pohl won three. H. L. Gold received the second most number of nominations at twelve, while Cele Goldsmith received the most number of nominations without winning at ten for her work on two separate magazines; she was the only female editor to be nominated. If was an American science fiction magazine launched in March 1952 by Quinn Publications, owned by James L. Quinn. The Hugo Award for Best Novel is one of the Hugo Awards given each year for science fiction or fantasy stories published or translated into English during the previous calendar year. The novel award is available for works of fiction of 40,000 words or more; awards are also given out in the short story, novelette, and novella categories. The Hugo Awards have been described as "a fine showcase for speculative fiction" and "the best known literary award for science fiction writing". The Hugo Award for Best Dramatic Presentation is given each year for theatrical films, television episodes, or other dramatized works related to science fiction or fantasy released in the previous calendar year. Originally the award covered both works of film and of television but since 2003, it has been split into two categories: "Best Dramatic Presentation " and "Best Dramatic Presentation ". The Dramatic Presentation Awards are part of the broader Hugo Awards, which are given every year by the World Science Fiction Society for the best science fiction or fantasy works and achievements of the previous year. The awards are named after Hugo Gernsback, the founder of the first science fiction magazine, Amazing Stories, and was once officially known as the Science Fiction Achievement Award. The award has been described as "a fine showcase for speculative fiction". The Hugo Award for Best Novelette is one of the Hugo Awards given each year for science fiction or fantasy stories published or translated into English during the previous calendar year. The novelette award is available for works of fiction of between 7,500 and 17,500 words; awards are also given out in the short story, novella and novel categories. The Hugo Awards have been described as "a fine showcase for speculative fiction" and "the best known literary award for science fiction writing". The Hugo Award for Best Short Story is one of the Hugo Awards given each year for science fiction or fantasy stories published or translated into English during the previous calendar year. The short story award is available for works of fiction of fewer than 7,500 words; awards are also given out for pieces of longer lengths in the novelette, novella, and novel categories. The Hugo Awards have been described as "a fine showcase for speculative fiction" and "the best known literary award for science fiction writing". The Hugo Awards are given every year by the World Science Fiction Society for the best science fiction or fantasy works and achievements of the previous year. The award is named after Hugo Gernsback, the founder of the pioneering science fiction magazine Amazing Stories, and was once officially known as the Science Fiction Achievement Award. The award has been described as "a fine showcase for speculative fiction" and "the best known literary award for science fiction writing". The Hugo Award for Best Professional Artist is given each year for artists of works related to science fiction or fantasy released in the previous calendar year. The Hugo Awards are given every year by the World Science Fiction Society for the best science fiction or fantasy works and achievements of the previous year. The award is named after Hugo Gernsback, the founder of the pioneering science fiction magazine Amazing Stories, and was once officially known as the Science Fiction Achievement Award. The award has been described as "a fine showcase for speculative fiction" and "the best known literary award for science fiction writing". The Hugo Award for Best Semiprozine is given each year for semi-professionally-edited magazines related to science fiction or fantasy which had published four or more issues, with at least one issue appearing in the previous calendar year. Awards were once also given out for professional magazines in the professional magazine category, and are still awarded for fan magazines in the fanzine category. Charles Nikki Brown was an American publishing editor, the co-founder and editor of Locus, the long-running news and reviews magazine covering the genres of science fiction and fantasy literature. Brown was born on June 24, 1937 in Brooklyn, New York. He attended City College until 1956, when he joined the military at age 18; Brown served in the United States Navy for three years. Following his discharge from navy service, he went to work as a nuclear engineer but later on changed careers and entered the publishing field; Brown became a full-time science fiction editor with Locus in 1975. The Hugo Awards are presented every year by the World Science Fiction Society for the best science fiction or fantasy works and achievements of the previous year. The award is named after Hugo Gernsback, the founder of the pioneering science fiction magazine Amazing Stories, and was once officially known as the Science Fiction Achievement Award. The award has been described as "a fine showcase for speculative fiction" and "the best known literary award for science fiction writing". In addition to the regular awards that have been given in most years that the awards have been active, several discontinued Hugo Awards have been presented throughout the years, only to be removed after a few years. The Hugo Awards are given every year by the World Science Fiction Society for the best science fiction or fantasy works and achievements of the previous year. The award is named after Hugo Gernsback, the founder of the pioneering science fiction magazine Amazing Stories, and was once officially known as the Science Fiction Achievement Award. The award has been described as "a fine showcase for speculative fiction" and "the best known literary award for science fiction writing". The Hugo Award for Best Related Work is given each year for primarily non-fiction works related to science fiction or fantasy, published or translated into English during the previous calendar year. Awards are also given out for works of fiction in the novel, novella, novelette, and short story categories. The Spectrum Awards were established in 1994 by Cathy Fenner and Arnie Fenner to recognize the best in fantasy, science fiction, and horror artwork created each year. The Hugo Awards are given every year by the World Science Fiction Society for the best science fiction or fantasy works and achievements of the previous year. The award is named after Hugo Gernsback, the founder of the pioneering science fiction magazine Amazing Stories, and was once officially known as the Science Fiction Achievement Award. It has been described as "a fine showcase for speculative fiction" and "the best known literary award for science fiction writing". The Hugo Award for Best Graphic Story is given each year for science fiction or fantasy stories told in graphic form and published or translated into English during the previous calendar year. The Hugo Award for Best Graphic Story has been awarded annually since 2009. It was started then with the requirement that it would only continue as an official award if approved again by the World Science Fiction Society after that year. It was, and was again awarded in 2010; it was ratified as a permanent category after the 2012 awards. The Hugo Awards are given every year by the World Science Fiction Society for the best science fiction or fantasy works and achievements of the previous year. The award is named after Hugo Gernsback, the founder of the pioneering science fiction magazine Amazing Stories, and was previously officially known as the Science Fiction Achievement Award. It has been described by The Guardian and Litro Magazine as "a fine showcase for speculative fiction" and "the best known literary award for science fiction writing". The Hugo Awards are given every year by the World Science Fiction Society for the best science fiction or fantasy works and achievements of the previous year. The award is named after Hugo Gernsback, the founder of the pioneering science fiction magazine Amazing Stories, and was once officially known as the Science Fiction Achievement Award. It has been described as "a fine showcase for speculative fiction" and "the best known literary award for science fiction writing". The Hugo Award for Best Series is given each year for series of science fiction or fantasy stories published consisting of at least 3 works totaling at least 240,000 words, with at least one work released or translated into English during the previous calendar year. The Hugo Award for Best Series has been awarded annually since 2017. It was started then as a one-time special Hugo Award in advance of a vote to make it a permanent category, and was ratified as such by members of the World Science Fiction Society that year. 1 2 "The Locus index to SF Awards: About the Hugo Awards". Locus . Oakland, California: Locus. Archived from the original on 2010-01-03. Retrieved 2010-04-21. ↑ Jordison, Sam (2008-08-07). "An International Contest We Can Win". The Guardian . London, England: The Guardian. Archived from the original on 2009-07-29. Retrieved 2010-04-21. ↑ Cleaver, Emily (2010-04-20). "Hugo Awards Announced". Litro Magazine. London, England: Ocean Media. Archived from the original on 2011-05-07. Retrieved 2010-04-21. ↑ "The World Science Fiction Society Rules 1971". World Science Fiction Society. Archived from the original on 2011-05-07. Retrieved 2010-05-19. 1 2 "The Hugo Awards: FAQ". World Science Fiction Society. Archived from the original on 2011-05-07. Retrieved 2010-04-20. 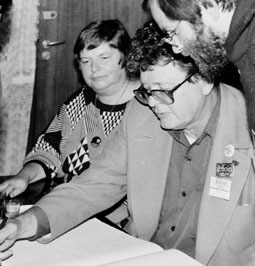 ↑ "The Locus index to SF Awards: About the Retro Hugo Awards". Locus . Oakland, California: Locus. Archived from the original on 2010-01-03. Retrieved 2010-04-21. ↑ "The Hugo Awards: Introduction". World Science Fiction Society. Archived from the original on 2011-05-07. Retrieved 2010-04-20. ↑ "World Science Fiction Society / Worldcon". World Science Fiction Society. Archived from the original on 2009-04-14. Retrieved 2010-04-20. ↑ Nicholls, Peter, ed. (1981). The Encyclopedia of Science Fiction. Frogmore: Granada Publishing. ISBN 0-586-05380-8. 1 2 "1953 Hugo Awards". World Science Fiction Society. Archived from the original on 2011-05-07. Retrieved 2010-04-19. ↑ "1955 Hugo Awards". World Science Fiction Society. Archived from the original on 2011-05-07. Retrieved 2010-04-19. ↑ "1956 Hugo Awards". World Science Fiction Society. Archived from the original on 2011-05-07. Retrieved 2010-04-19. 1 2 3 4 5 6 "1957 Hugo Awards". World Science Fiction Society. Archived from the original on 2011-05-07. Retrieved 2010-04-19. ↑ "1958 Hugo Awards". World Science Fiction Society. Archived from the original on 2011-05-07. Retrieved 2010-04-19. 1 2 3 4 5 "1959 Hugo Awards". World Science Fiction Society. Archived from the original on 2011-05-07. Retrieved 2010-04-19. 1 2 3 4 5 "1960 Hugo Awards". World Science Fiction Society. Archived from the original on 2011-05-07. Retrieved 2010-04-19. 1 2 3 "1961 Hugo Awards". World Science Fiction Society. Archived from the original on 2011-05-07. Retrieved 2010-04-19. 1 2 3 4 5 "1962 Hugo Awards". World Science Fiction Society. Archived from the original on 2011-05-07. Retrieved 2010-04-19. 1 2 3 4 5 "1963 Hugo Awards". World Science Fiction Society. Archived from the original on 2011-05-07. Retrieved 2010-04-19. 1 2 3 4 5 "1964 Hugo Awards". World Science Fiction Society. Archived from the original on 2011-05-07. Retrieved 2010-04-19. 1 2 3 4 "1965 Hugo Awards". World Science Fiction Society. Archived from the original on 2011-05-07. Retrieved 2010-04-19. 1 2 3 4 5 "1966 Hugo Awards". World Science Fiction Society. Archived from the original on 2011-05-07. Retrieved 2010-04-19. 1 2 3 4 "1967 Hugo Awards". World Science Fiction Society. Archived from the original on 2011-05-07. Retrieved 2010-04-19. 1 2 3 4 5 "1968 Hugo Awards". World Science Fiction Society. Archived from the original on 2011-05-07. Retrieved 2010-04-19. 1 2 3 4 5 "1969 Hugo Awards". World Science Fiction Society. Archived from the original on 2011-05-07. Retrieved 2010-04-19. 1 2 3 4 5 "1970 Hugo Awards". World Science Fiction Society. Archived from the original on 2011-05-07. Retrieved 2010-04-19. 1 2 3 4 5 "1971 Hugo Awards". World Science Fiction Society. Archived from the original on 2011-05-07. Retrieved 2010-04-19. 1 2 3 4 5 "1972 Hugo Awards". World Science Fiction Society. Archived from the original on 2011-05-07. Retrieved 2010-04-19.